Rajasthan started the year 2015 with 592 legislative Acts; it will end 2016 with 279. Of the four phases of this project – repealing, consolidating, examining relevance and putting laws online – the state completed repeal last year, finalised consolidation in May, and began putting laws online last month. An antibiotic reaction to the examining relevance phase from parts of the legislature and bureaucracy means that, for now, we won’t reach the stretch goal of only 100 Acts we set for ourselves. But a 50% reduction in legislation is still worth celebrating and is an important reminder to lawmakers that laws are like fingernails; they keep growing if not cut. Nobel Prize winner Elie Wiesel once said, “I love the word question because it has the word quest in it.” I often turn to this quote because as politicians it is hard to figure out the right questions and impactful quests given the noise of short-term events, vested interests and implementation capacity. But the question of how to reduce the suspicion and increase the trust between citizens and lawmakers surely leads to the quest of reducing the transmission losses between how laws are written, interpreted, practised and enforced. Other upsides of less legislation include less corruption, nepotism and judicial intervention. Over time it will unclog the courts and reduce pendency. Before starting this project we had extensive internal debate about the traditional vehicle of appointing a Law Commission for our objectives but after studying the past national experience, efficacy and speed of that vehicle we decided that our ambitions needed innovation involving an in-house solution. We aim to continue innovating by working with the state judiciary to analyse cases filed under our remaining 279 Acts so we generate the data for analytics that can guide our quest for continuous improvement. 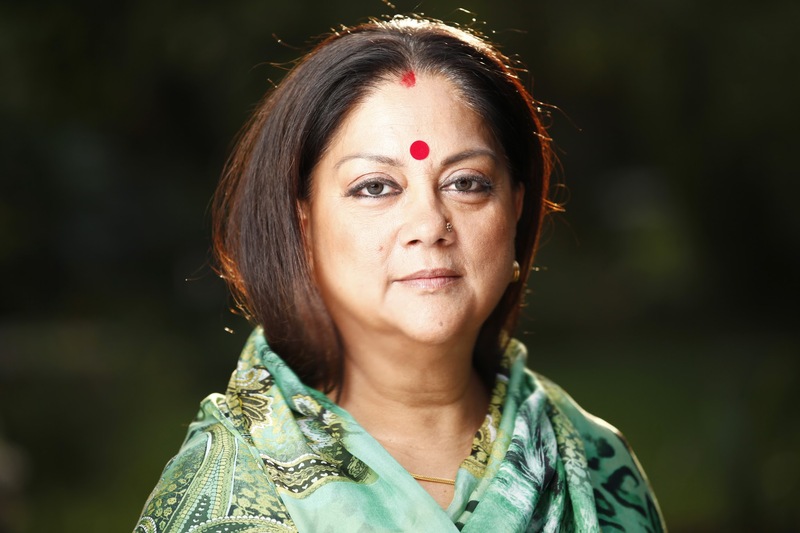 The Rajasthan Laws Repealing Bill 2015 represented feedback from 66 departments over 100 meetings and repealed 248 Acts – the last time a principal Act was repealed by the state assembly was 1962. The consolidation phase started last year but has been more complex and difficult; the education and revenue departments have more than 70 Acts each! We identified nine departments with the most consolidation impact and began internal department reviews followed by meetings with the administrative reforms department and Bibek Debroy. The state government will soon be ready to present legislation to our assembly that will consolidate 79 Acts into 14. Giving up attachments to material things in a modern world is difficult but we found breaking the attachment to immaterial laws very challenging. The project has thrown up many interesting stories. Departments were implementing laws they had no copies of, the same departments fighting to retain laws once we got them copies from the state archives, departments wanting to retain laws that have not been used for 50 years, implementing laws for a few months after their repeal, stonewalling repeal because they believed sanctioned headcount would be cut if laws went away, and much else. The need for consolidation is self-evident. Even a quick read of the Rajasthan Prison Act of 1894, the Rajasthan Identification of Prisoners Act of 1956, and the Rajasthan Prisoners Act of 1960 suggests they don’t say very different things. Can’t we merge the Rajasthan State Cattle Fairs Act of 1963 and the Rajasthan Gaushala Act of 1960? While pending litigation doesn’t let us repeal the Rajasthan Land Reforms and Resumption of Jagirs Act of 1952, and the Rajasthan Jagir Decisions and Proceedings (Validation) Act of 1955, do they really need to be two different Acts? And surely our police don’t need three different Acts for Habitual Offenders (1953), Goondas (1975), and Anti-Social Activities (2006)! The objections to putting all our laws online in searchable format were borderline hilarious – one suggested it would confuse citizens – but 100 Acts are now online and 100% will be online in six months. This project is cradled within the central government vision; surely an essential element of minimum government and maximum governance is minimum laws. The wonderful book ‘The Indian Constitution: Cornerstone of a Nation’ by Granville Austin suggests that the Indian Constitution not only established the nation’s ideals but also the institutions and processes for achieving them. But more importantly the book was among the earliest to recognise the role our remarkable Constitution and good laws have played in defying the odds. India was a reckless experiment in 1947 because large countries with multiple languages, diverse religions and pervasive poverty were not supposed to survive as democracies. We have not only survived but thrived but it’s time for India’s wonderful political democracy to be complemented by improvements in our social and economic democracy. Prime Minister Narendra Modi recently offered a seven word mantra for this – sewa bhav (spirit of service), santulan (balance), sayyam (self-discipline), samanvaya (coordination), sakaratmak soch (positive attitude), samvedana (empathy), and samvad (dialogue). Rajasthan’s law reform project required dialogue between departments, empathy towards citizens, legislative balance, leadership positivity, and massive coordination. It’s been a difficult project but the voluntary clean-up for state laws by bureaucrats and legislators is a wonderful demonstration of my deeply held belief that there is nothing wrong with India that cannot be fixed with what is right with India.